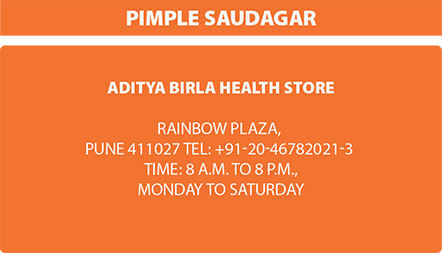 Aditya Birla Health Stores provide vitamins, herbal remedies, natural cosmetics and wholesome foods, in additional to general pharmaceutical products. The Health Stores also serve as Phlebotomist centers (sample collection of blood, urine, stool etc. )for convenience and easy access to medically trained assistance.